Paris Saint-Germain defender Dani Alves has basically called on his club to seal the transfer of Arsenal star Alexis Sanchez. The Chile international’s contract is up at the end of the season and he’s been the subject of much speculation over his future as a result. The Daily Mail claimed yesterday that Manchester City were confident they could persuade Arsenal to sell the 28-year-old in January, though Alves admits he’d love him to choose PSG over other interested clubs. ‘He (Sanchez) is wanted by many teams,’ Alves was quoted by ESPN. 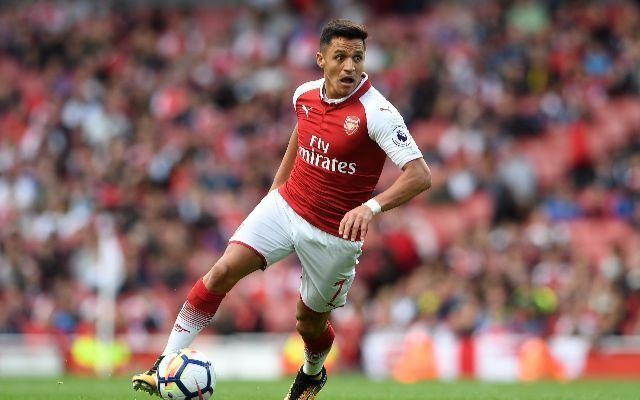 Goal recently reported that Sanchez had no intention of renewing his contract with Arsenal, which would allow PSG to start talking with the player from January onwards. English clubs, however, have to wait until the summer, which would explain the Mail’s claims that City want to try to snap him up when the transfer window re-opens in the winter. The Guardian noted PSG’s interest in Sanchez back in the summer, with reports at the time claiming the Ligue 1 giants were keen to sign both him and Neymar. This, however, was before PSG ended up bringing in Kylian Mbappe from Monaco, so it remains to be seen if they would find room for another attacking player, even one of Sanchez’s calibre. Alves, though, has made it pretty clear where he stands on the matter and if he gets his wish could really spoil Pep Guardiola’s transfer plans for the coming months.